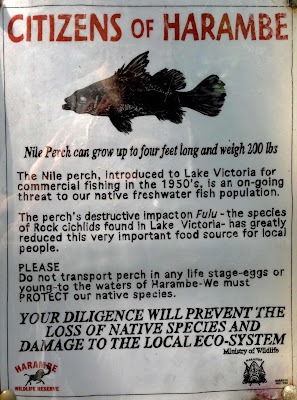 I've become newly fascinated with the Pangani Forest Exploration Trail. This self guided walking tour is located in Harambe, in Disney's Animal Kingdom...and is completely filled with wonderful details. 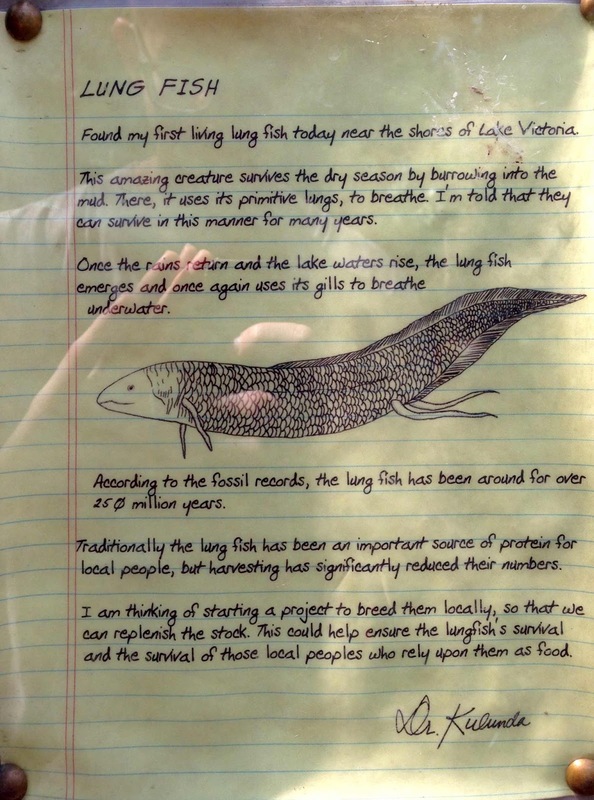 Just recently we examined a wonderful detail off the beaten path of normal guests touring the exhibit, and today we will look at an equally fascinating element of the story. 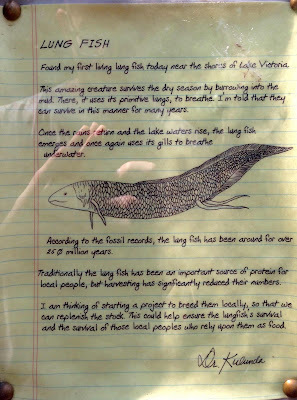 Located throughout the trail are bulletin boards, used by the research team, including their notes on specific species. 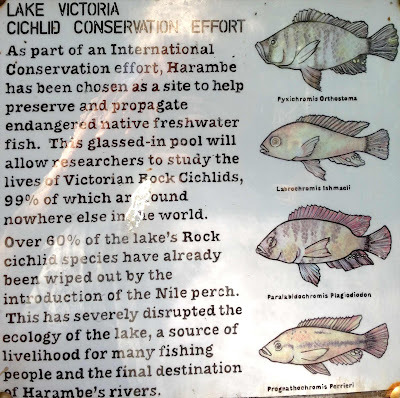 This bulletin board tells a quick and precise story of the Lake Victoria Rock Cichlid, an important fish (actually a few types...) endemic to the lake. 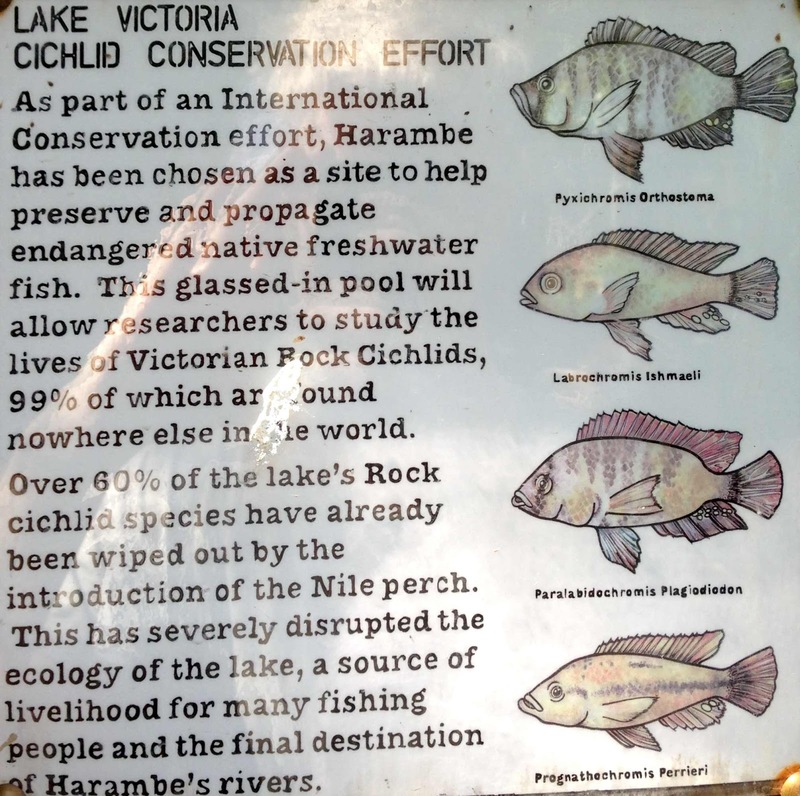 Apparently these fish are disappearing due to the introduction of Nile Perch to the water, who feed on the cichlids. sad. Pretty cool right? I'm really looking forward to devoting some SERIOUS time to the Pangani Forest Exploration Trail on our upcoming trip! This trail has always played second fiddle to its exotic cousin in Anandapur...but I'm starting to think this trail is equally impressive! What do you think of the Forest Trail? Let us know on Twitter or over on Facebook! Forest stay is the best part in any trip. That too in a forest called parambikulam in kerala gives you the real thrill of any other forest in this whole world. Everyone should visit that place at least once in a life time.